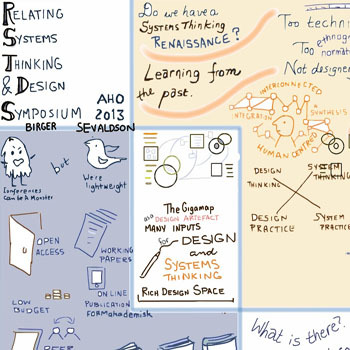 We have joined two issues of FORMakademisk to accommodate two sets of articles developed from remarkable early work presented at the 2013 Relating Systems Thinking to Design Symposium in Oslo. We organized these papers into a theory set, and a set for practice of systemic design, although most of these theoretical works are deeply informed by design and planning practices. The theory issue, Theoretical Evolution in Systemic Design, comprises the perspectives of scholars contributing new work crossing the former boundaries between systems theory and design thinking. Dette verket er lisensiert under Creative Commons Attribution 4.0 International License.